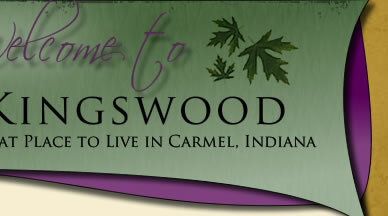 Kingswood Trash Pickup and Recycling is managed through the City of Carmel utilities. Billing is a part of each resident's Water and Sewer billing. Kingswood Trash and Recycling Pickup is Wednesday. Effective in 2017 Recycling is every week. Trash and recycle containers must be at curbside by 6 am on collection day. Please do not place any trash at curbside before dark on Tuesday. All recycling must be placed in given container with the lid closed by 6 am on collection day. No sorting is needed. The website www.indyrecycles.com has more information if you have questions. * Plastics #1 - #5 type and #7. Note: #6 Styrofoam is NOT allowed. All must be empty. * Plastic Bags including newspaper delivery Bags. Lowe's & Home Depot also accepts batteries from rechargeable power tools & hand held vacuums. Hamilton County Household Hazardous Waste Center accepts electronics, tube fluorescents and many other items -Click Here for their Website. The City of Carmel's Household Hazardous Waste Disposal facility offers Carmel citizens a safe, convenient, environmentally friendly way to get rid of household hazardous waste items such as solvents, pesticides and paint products. *Do not leave household waste outside the gate when collection site is closed.